I came down with a cold this past Thursday evening which although irritating has not kept me from being productive with the sewing machine or in the kitchen. In fact when I get sick I always seem to want to bake...maybe the comforts and warmth of the kitchen help to heal me in some strange way. More on the baking below. 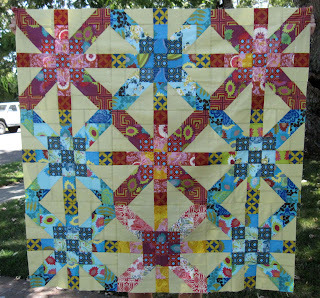 Friday morning I sewed the nine Supernova blocks together and then began working on the borders. I sewed up one side of the borders and then realized that the spacing was off with where the coordinating print lines up with the Supernova blocks. 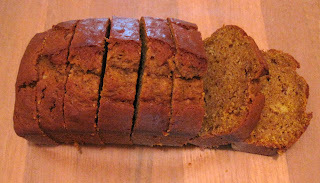 By Friday afternoon the kitchen needed attention so the borders were put on hold and Pumpkin Bread was made. My oldest at 3...sitting on an 80 pound pumpkin. One downside of this love of pumpkin is that the pumpkin crop can be subject to regional difficulties such as drought, flooding and pests. Sometimes there are months out of the year when cans of pumpkin are very hard to find in grocery stores and for a few months now I've had to get my fix for Pumpkin Bread at Starbucks as my pantry has been empty. Last week though I got lucky and found canned pumpkin on my local grocery store, bought the six cans on the shelf and then was teased for being a pumpkin hoarder. Gotta have my pumpkin. My go-to Pumpkin Bread recipe comes from The Foster's Market Cookbook, a cookbook in which I have yet to find a bad recipe. Please go here for a link to the recipe. The recipe makes two 9 by 5 inch loaves, one of which is practically gone within hours and the other I slice, place in sandwich bags and freeze to enjoy whenever I want. 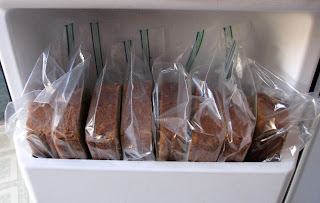 Do you have a favorite quick bread recipe that you freeze and enjoy at a later date? Share it with me and I'll talk about it on my next podcast. wow - I'm impressed you grow your own pumpkin - cool! The quick bread I make & freeze is bran muffins - does that count? If so, I'll send you the recipe. 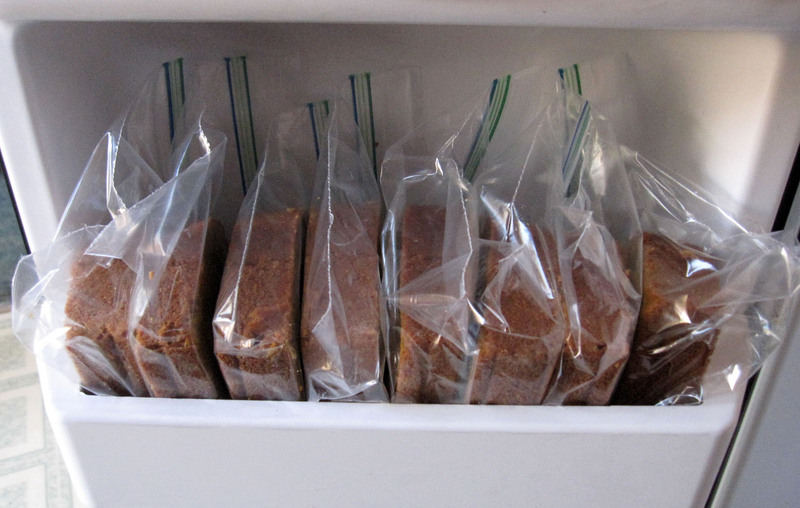 Storing that bread in your freezer like that is pure genius. ;) Hope you feel better soon. 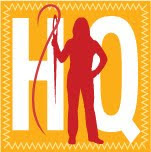 I co-facilitate a refugee women's network in my area--women from all over the world originally. In one of our early meetings we discovered that pumpkin is eaten the world over! So we had a pumpkin festival and everyone brought traditional dishes from their countries. It's usually a savory dish--we U.S. folks were the only ones who brought sweet versions. I made pumpkin bread--my fave. I'll be checking out your recipe. And that quilt is beautiful!